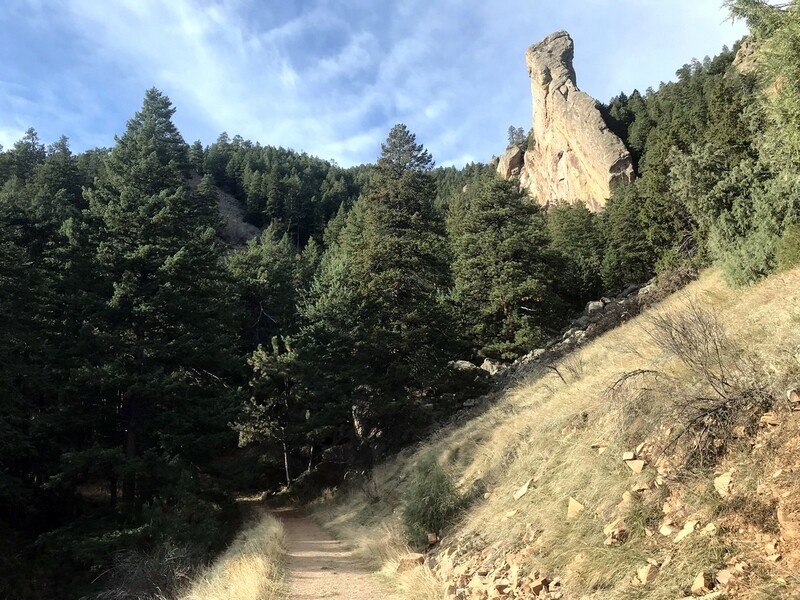 The South Boulder Peak hike takes you to Boulder’s highest peak. This is a somewhat strenuous hike, taking you through a patch of recently burned forest. 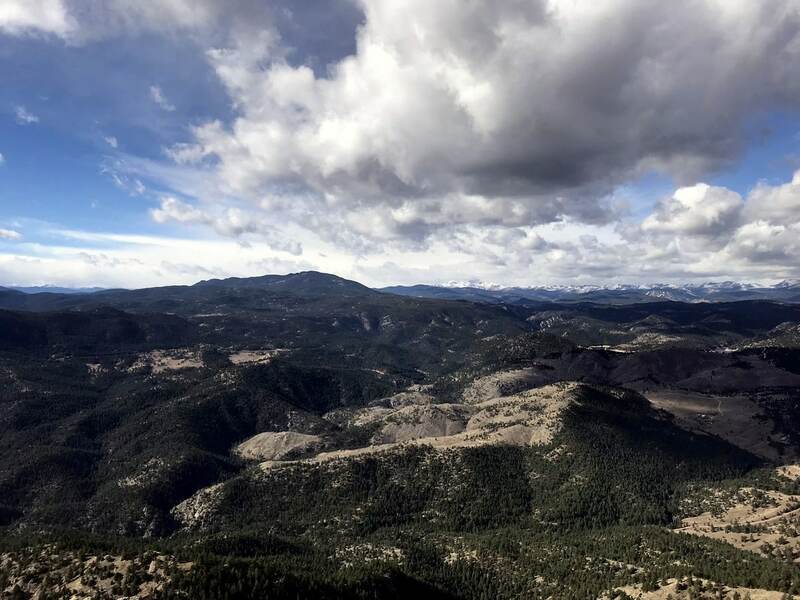 The views from the summit of South Boulder Peak are well worth the climb! From Boulder head south on 93 towards Golden. 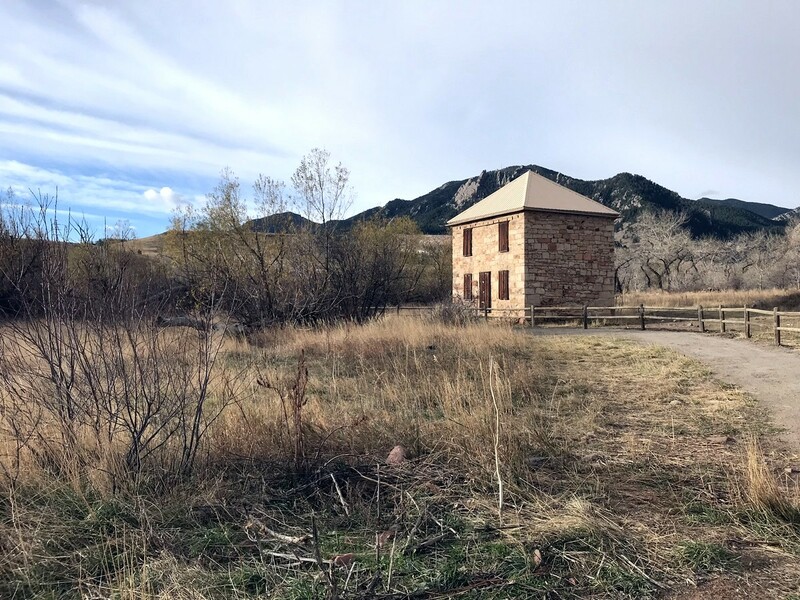 At a traffic light, head west on Eldorado Springs Dr. (170) until the signs for South Mesa Trailhead and the parking lot become visible on the north side of the road. 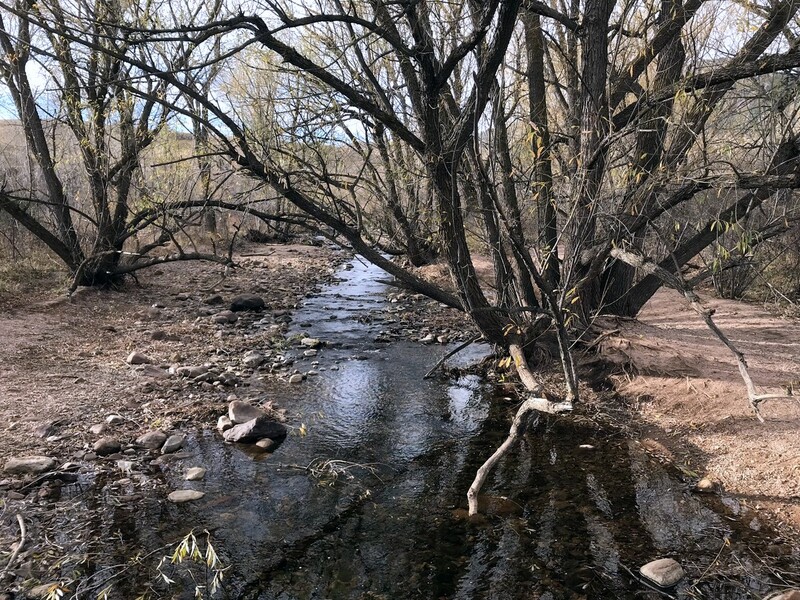 Begin the hike from the South Mesa Trailhead via the Mesa Trail. 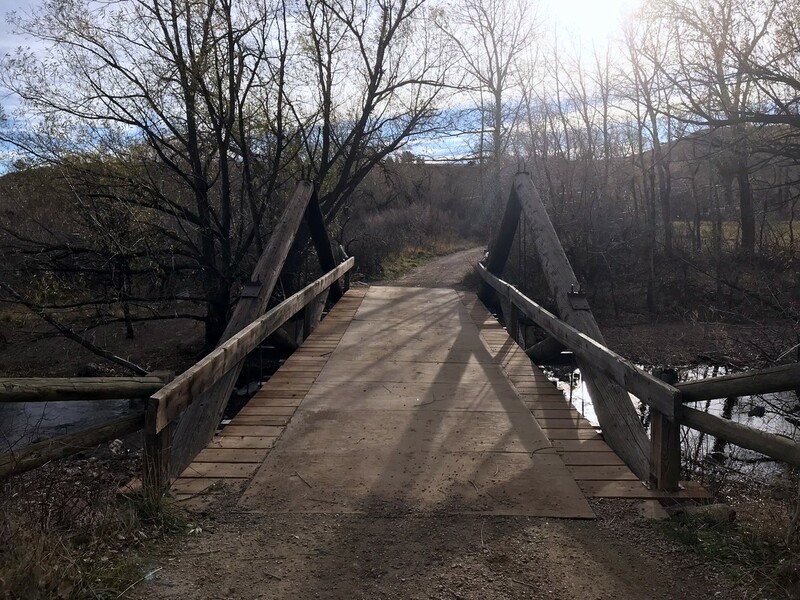 Cross a small bridge over South Boulder Creek and hike past an old ranch house. Take hikers left, onto Homestead Trail. 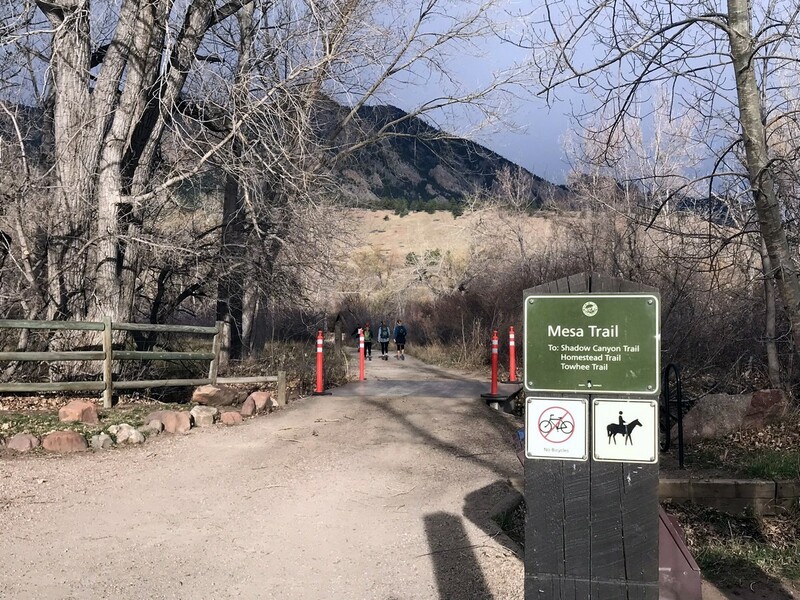 After approximately 1 mile, Homestead Trail reconnects with the wide and maintained Mesa Trail. Quickly, you will arrive at a junction in the trail; stay left as you merge onto Shadow Canyon South Trail. This is also a wide and maintained trail which gradually climbs to the beginning of Shadow Canyon and an old cabin. 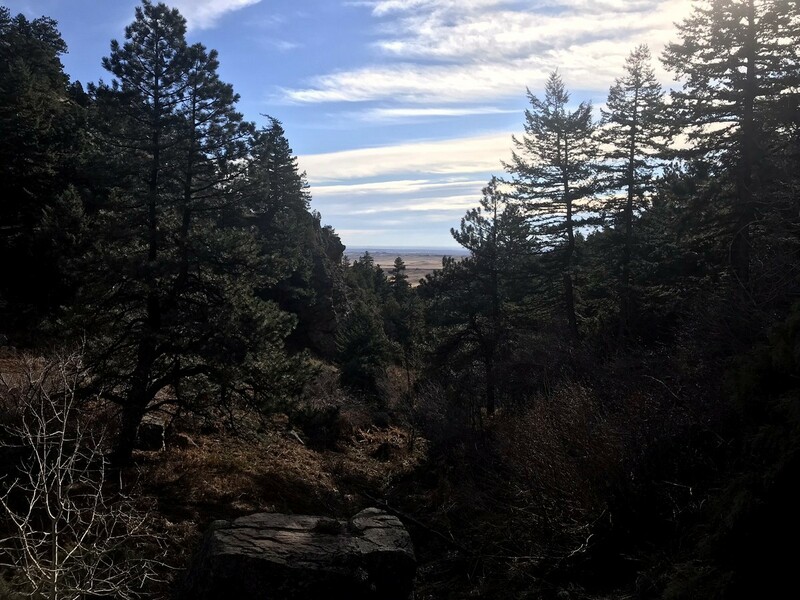 Shadow Canyon is a steep and strenuous hike that quickly gains elevation. Large boulders and thick forest make this section of the hike seem secluded and adventurous. 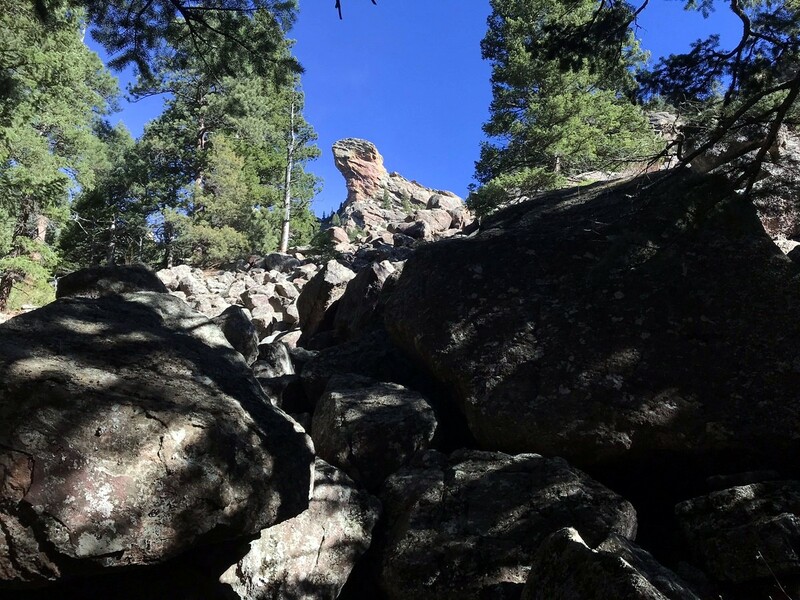 Peeking through the trees, you can occasionally spot Devil’s Thumb sticking out over the rocky ridge above. The steep hiking and switchbacks, lead you into a burned section of forest from a recent wildfire. Eventually, you reach the saddle between South Boulder Peak (2606m) and Bear Peak (2578m). A sign post indicates the way, taking you left at the T-junction in the trail. After a little more climbing, the trail becomes rocky as you head to the summit. 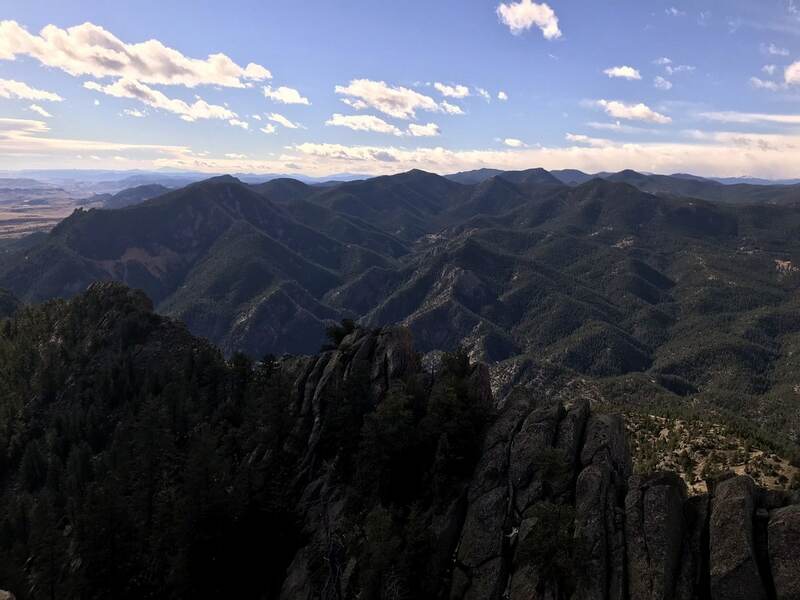 Unlike its close neighbor, Bear Peak, the summit of South Boulder Peak can be easily reached. From the summit, panoramic views of the area are jaw-dropping! To descend, hike back the way you came. 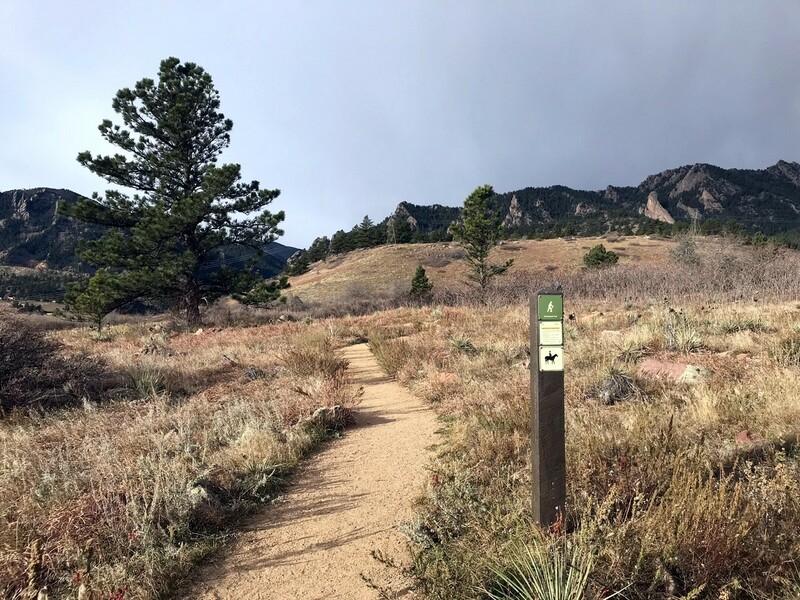 Pay to Park at the trailhead unless your vehicle is registered in Boulder. 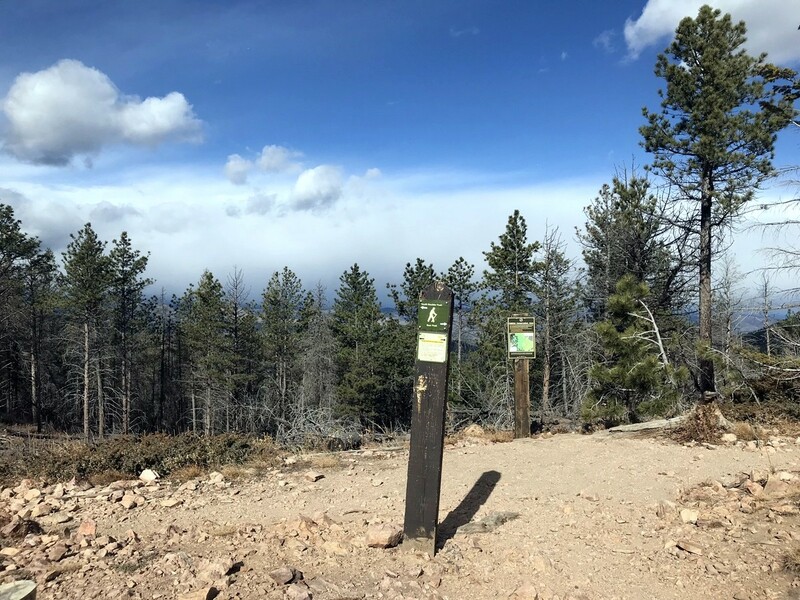 Shadow Canyon will retain snow and ice for longer periods of time, so plan your hike accordingly, giving sufficient time after a winter storm for it all to melt. 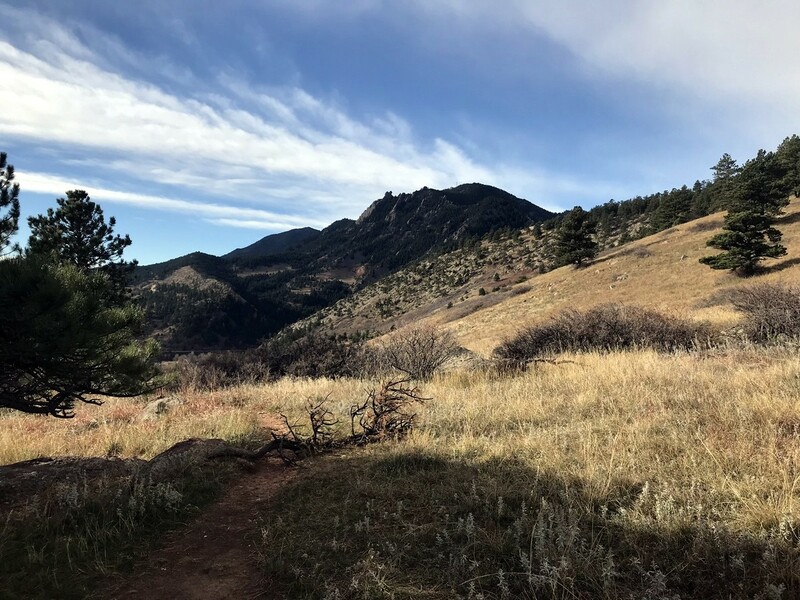 Bear Peak and South Boulder Peak can be combined into one hike for a great day out! 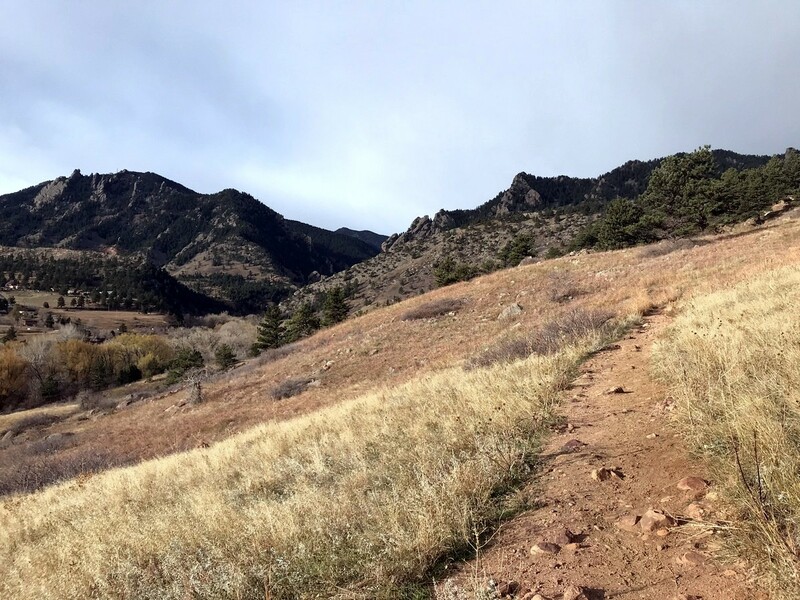 South Boulder Peak is one of the five tallest peaks along the Boulder Front Range, which can all be linked via the Skyline Traverse. 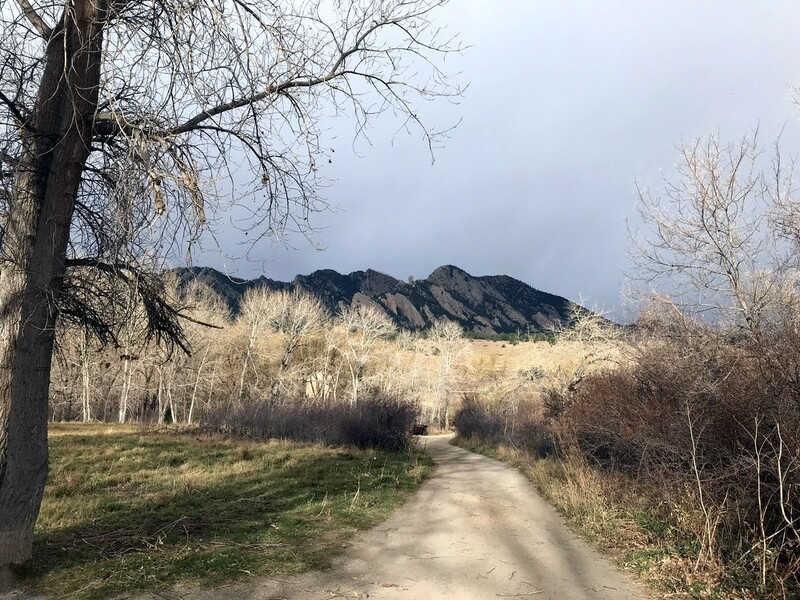 South Boulder Peak, with its considerable elevation gain, is considered excellent training for hikers aspiring to step up to the 14ers (Colorado summits >4267m above sea-level).  To add rating to your comment you need to log In or sign up. No spam. Easy unsubscribe links are provided in every email. Copyright © 2019 10Adventures Inc. All rights reserved.